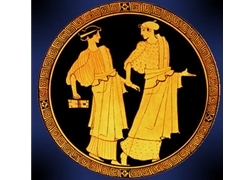 Among ancient writers Aristotle offers the most profound analysis of the ancient Greek household and its relationship to the state. The household was not the family in the modern sense of the term, but a much more powerful entity with significant economic, political, social, and educational resources. The success of the polis in all its forms lay in the reliability of households to provide it with the kinds of citizens it needed to ensure its functioning. In turn, the state offered the members of its households a unique opportunity for humans to flourish. This 2006 book explains how Aristotle thought household and state interacted within the polis.